Smooth check in and check out process even without people. Clean apartments, functional. Good for a couple of nights. Had almost all amenities. Kitchenette was nice and helpful. Truly every little detail was taken care of, from the fridge, dishwasher, toaster, scissors, cutlery...if you need it, it's definitely there for you. The artwork on the walls was really wonderful, and the room was very tastefully decorated. The self-service check-in was easy. The keys are in the lobby with your name on it. If you need to store luggage before check-in time (3pm), arrive after 9am, ask a staff member for a key to one of the lockers. The bed is comfortable and the comforters are warm. Pillows are a little too soft. The kitchen has the pots, pans, plates, cups, utensils, paper towel, dish soap, for you to prepare meals. There is a Bonus supermarket next door, but the hours are not that convenient. The Kronan supermarket, which is about a 5-min walk away, has better hours (9am - 9pm) every day. Helpful notes throughout the apartment on the hot water, dish washer, phone system, checkout procedure. Map and other information on the table upon entering the room. Easy place to stay. If you need help you can use the phone in the foyer and get help. Clean, organized place. Enjoyable. It was comfortable. It was clean. It was close to shopping and downtown. The kitchen had a real coffeemaker! Grocery next door had real coffee! 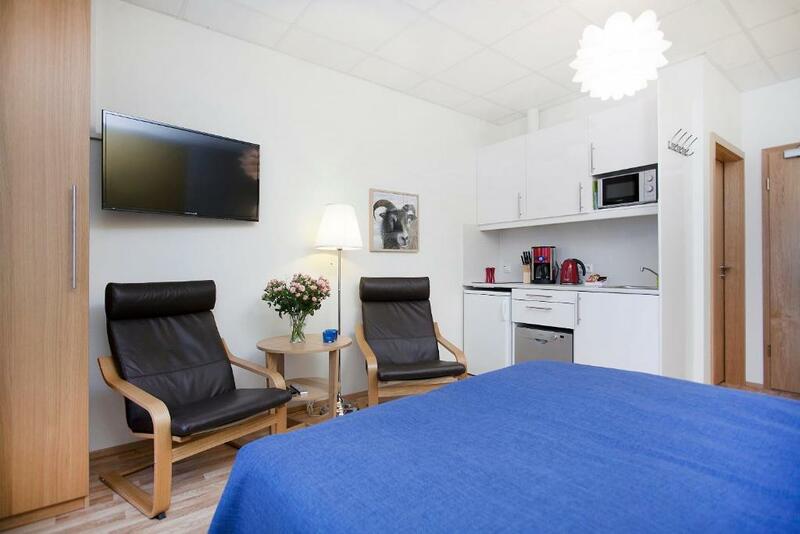 The Apartments are very clean, well looked after, with cooking facilities, and though not at a central location they are within walking distance of transportation lines and restaurants. They are also very near major shopping and restaurant streets. Lock in a great price for Northern Comfort Apartments – rated 9.1 by recent guests! Northern Comfort Apartments This rating is a reflection of how the property compares to the industry standard when it comes to price, facilities and services available. It's based on a self-evaluation by the property. Use this rating to help choose your stay! 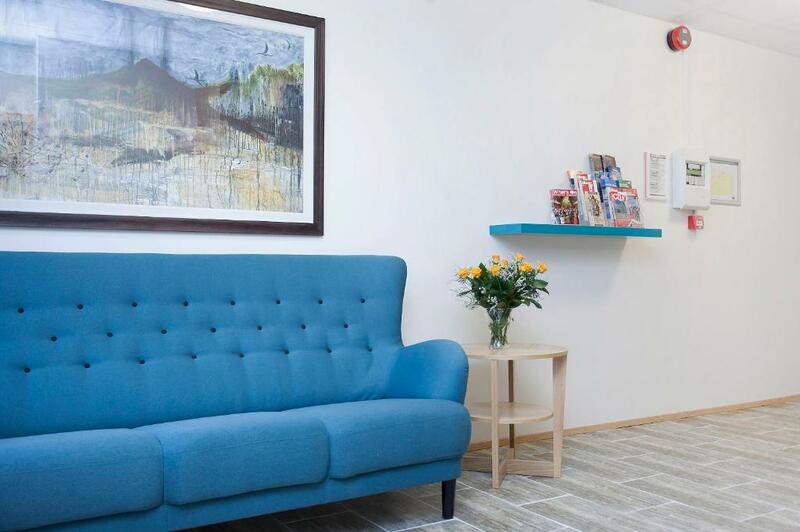 Located 1,650 feet from Hlemmur Square and Laugavegur Shopping Street, Northern Comfort Apartments offers accommodations in Reykjavík. Free WiFi is included. Hallgrímskirkja Church is 0.6 mi away. 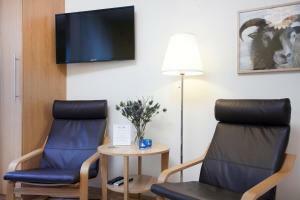 All units feature a satellite flat-screen TV and telephone with free local calling. 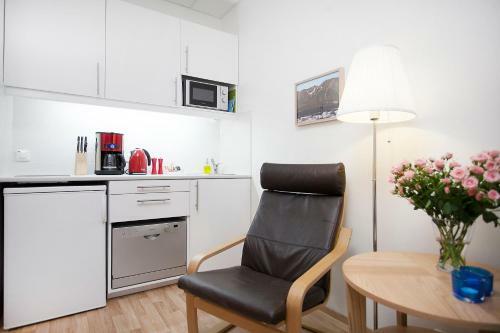 There is also a full kitchenette, fitted with a microwave, a toaster and fridge. Every unit comes with a private bathroom with a hairdryer. Towels and bed linen are offered. Airport shuttle services can stop directly at Northern Comfort Apartments. Daily housekeeping is included. Luggage storage is possible from 09:00. Laugardalslaug, the city's largest outdoor pool, is 1.6 mi away. The closest bus stop is 1,000 feet away. There is a grocery store within 150 feet of the apartment. Free street parking is available in the area. This property is also rated for the best value in Reykjavík! Guests are getting more for their money when compared to other properties in this city. When would you like to stay at Northern Comfort Apartments? This soundproofed studio has a kitchenette and blackout curtains. 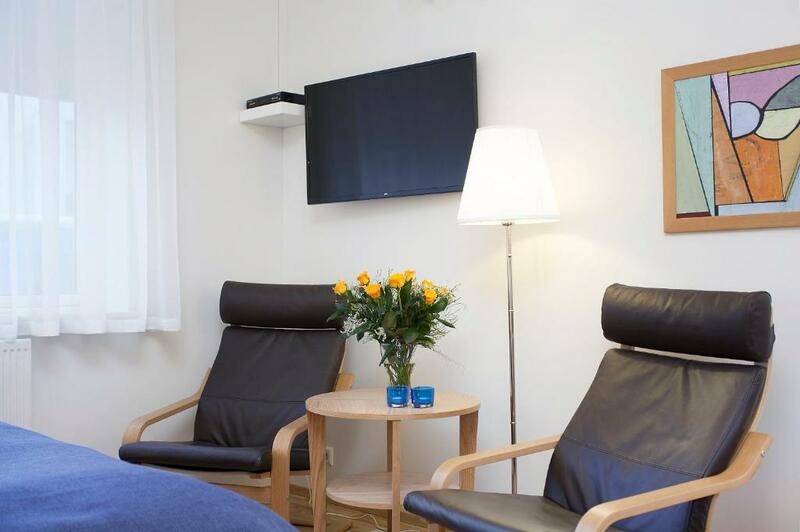 Then Northern Comfort Apartments are close to the city center in a quiet location. A Bonus supermarket is next door and a restaurant next door on the other side. 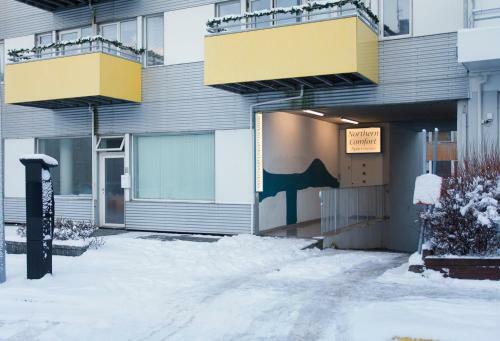 5 minutes walk to Hlemmur at the top of the Restaurant and shopping section of Laugavegur and 10-15 mintues to the city center and the harbor. 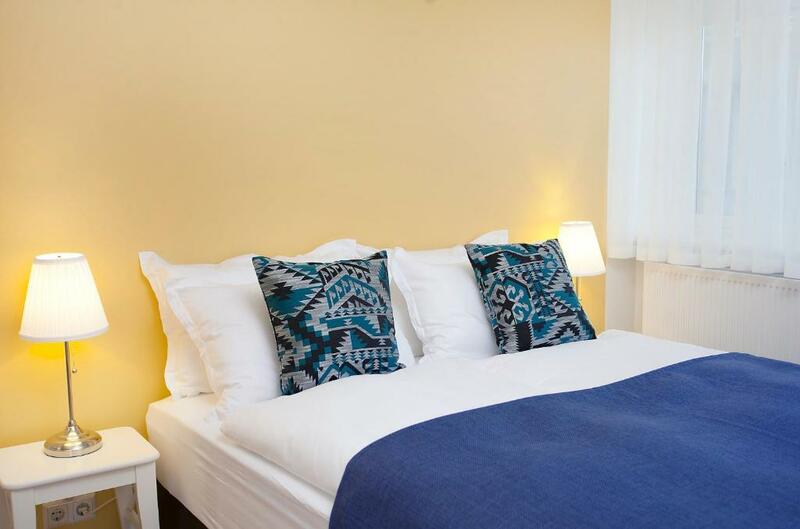 House Rules Northern Comfort Apartments takes special requests – add in the next step! Northern Comfort Apartments accepts these cards and reserves the right to temporarily hold an amount prior to arrival. The only mirror is in the toilet. Suggest to have another mirror outside the toilet. Location, kitchen, facilities in general. Even had UK tv! We only stayed one night here but it was lovely. 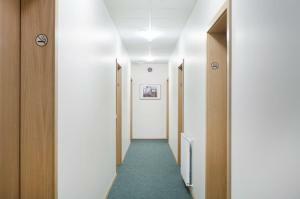 Great security and clean and tidy room with everything we needed. Everything was just perfect. Great location _ everything within walking distance and very convenient with the transportation, clean and comfortable apartment with all the amenities. Bravo!!! The shower stall in apartment 602 is cramped. It was ok for us since we’re tiny people, but if you’re larger you’re probably not going to be able to close the shower doors. Not really a big deal since it’s a wet bathroom with heated floors. Everything we needed to cook, quiet apartment, easily accessible to everywhere we wanted to go. Grocery store right next door, free parking around the block, ideal booking for us in the city! Thanks! Nothing. The apartment was clean and tidy, everything inside was new and perfectly working. Great location. Very close to city centre without having to pay city centre prices. Grocery store and all types of restaurants close by. Easy pick up point for all excursions and close to main bus terminal. Loved every minute of our stay. Do not book this, Quite far to walk to the city centre and attractions. Located in a run down area. My only comment is that the apartment could have done with a full length mirror - maybe on the inside of the wardrobe door. Just the whole experience was seamless and the apartment perfect for our requirements. In addition to that Reykjavík is an amazing city. The shower, it was very difficult not to flood the room.